The Guadalupe Cultural Arts Center (GCAC) in San Antonio, Texas, is the largest community-based Chicano institution in theUnited States, dedicated to thedevelopment and presentation of traditional and contemporary Mexican American cultural arts. Its programs in literature, music, visual arts, film, and theater have brought the Guadalupe in­ternational acclaim as well as recognition at the local, state and national levels. 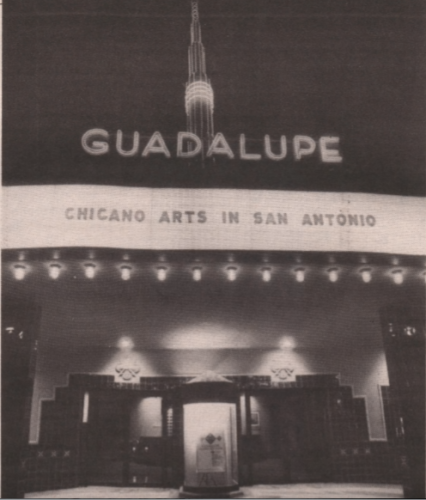 “As assimilation of all cultures becomes more effective,” states Rodriguez, “it is imperative that we establish institutions based on local community work, so that Chicano arts and culture remain vital to the survival of our communities.” The Guadalupe Theater is crucial to the operation of the Center. The 45-year-old structure was renovated in 1984 into a 410- seat facility that includes a gallery and auditorium for stage and film presentations. 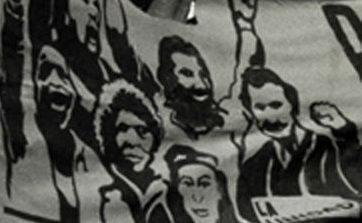 In 1983, the Cine- Festival became part of the annual programming. It is the oldest and largest Hispanic film festival in the U.S. The Visual Arts Program mounts nine exhibits annually.The most significant is the Latina-Indigena Women’s Exhibit, now in its fifth year. Hecho a Mano, a fine arts and crafts market begun in 1987, continues to present more artists from all over the world. 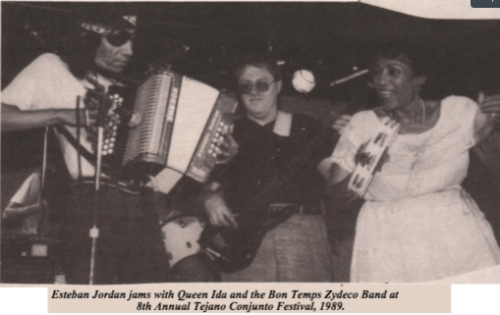 The Xicano Music Program presents the Tejano Conjunto Festival, a traditional music event in its ninth year. It is the largest single event produced at the GCAC, hosting over 30,000 people in one week. The Theatre Arts program produces three plays per year for the general public and one play for children. The 1986 establishment of Los Actores de San Antonio, the GCAC resident company, marked an important milestone in the program. The Lit­erature program of­fers readings through­out the year by writ­ers of regional and national merit. The San Antonio Inter-American Book fair and Literary Festival, held ev­ery October, is a major literary event exhibit­ing scores of independent and university presses from the U.S. and Latin America. 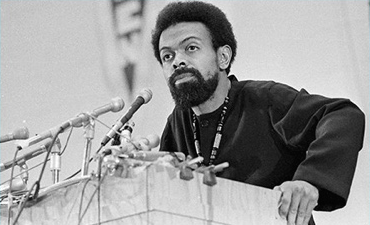 Featured readers for 1990 include Maxine Hong Kingston, Ishmael Reed, and Claribel Alegria. As the Center has grown with the arts community, it has had to reach out to confront the realities of a major cultural center. The hir­ing of a development director and the expansion of its fundraising capabilities have prepared the GCAC for the nineties. 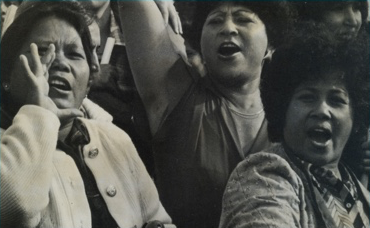 As the Guadalupe Cultural Arts Center continues to influence Chicano art, its impact and leader­ship are felt throughout the country and go a long way in showing how art in America, at the turn of the century, is truly a multi­cultural force. Ray Gonzalez is Literature Director of the Guadalupe Cultural Arts Cen­ter. A poet, publisher and literary organizer, Mr. Gonzalez has re­ceived several awards, including the Arizona Arts Commission’s Four Cor­ners Book Award for Best Book of Poetry for his book Twilight and Chants. He is currently working on the first national anthology of Hispanic poetry, After Aztlan: Latino Poets in the Nineties (David Godine Publishers).